I've been asked many times to prepare patterns for my toys. I made a few of them, but non of them weren't finished so far. There is no material specified for this toy, as you can use any thread or yarn you comfortable to work with. 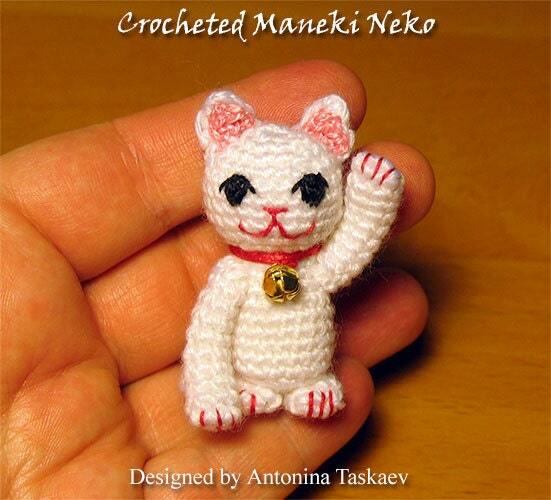 The instruction allows you to make Maneki Neko of different size, depends on your material and wish.